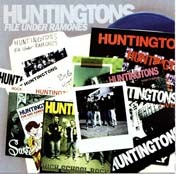 Click to Enlarge Ramones cover CD, featuring the Huntingtons favorites. 15. Why Is It Always This Way?